My Google Scholar profile can be found here. Ghazali M, Dix A, Gilleade K (2015) The Relationship of Physicality and its Underlying Mapping. 4th International Conference on Research and Innovation in Information Systems – 2015 (ICRIIS’15), Malacca, Malaysia, December 8-10 2015. Best Paper Award. 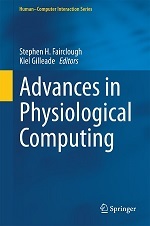 Fairclough SH, Karran AJ, Gilleade K (2015) Classification Accuracy from the Perspective of the User: Real-Time Interaction with Physiological Computing. CHI 2015. Gilleade K, Dix A, Allanson J (2005) Affective Videogames and Modes of Affective Gaming: Assist Me, Challenge Me, Emote Me. In: Online Proceedings of DIGRA 2005, June 2005.